The takeaway here is if you really want the best vanilla, you will have to get over sticker shock. And your best bet for finding it is to shop at a specialty food store or online from a reputable source. Yes, you will pay a little more, but you will be getting more! 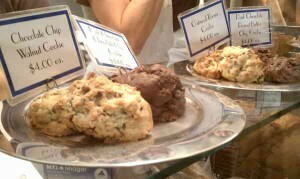 You really will notice a difference in the flavor in your foods and baked goods! And don’t forget; you don’t use vanilla by the cup. So your investment in quality goes a long way and lasts a long time. 12/26/15 Addendum: The world is facing a serious shortage of vanilla. Prices are going up even higher! Beware of cheap imitations. Choosing the best vanilla extract just by reading the label is a little tricky. While there are rules governing vanilla extract production and labeling, not every company follows the rules. Here are some guidelines to help you in your quest for the best. 1. First, make sure it’s actually extract! Many aren’t! For a good extract, make sure it is actually extract. Vanilla flavor and vanilla extract are not the same thing. Vanilla flavor is made without alcohol. Propylene glycol or glycerine are used. If it’s labeled pure vanilla extract, it’s extract. If it’s labeled “flavor,” it can’t contain alcohol. Vanilla extract is stronger and than vanilla flavor. Flavor is a good substitute if you don’t want alcohol. Imitation vanilla must be labeled imitation in the US. In Mexico, the Caribbean and Latin America, the labels mean nothing. 2. Make certain it’s pure vanilla – and don’t be fooled by a Mexican label! Unfortunately, some specialty food stores carry Mexican vanilla made in Mexico. While it is possible that it is pure vanilla, the chances are more than 99% that it is not pure. 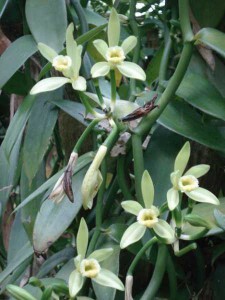 Mexico produces beautiful vanilla beans but the vast majority of so-called extracts made there, as well as in the Caribbean and in Latin America, are imitation. They may smell good because they don’t contain alcohol (or contain only 2% alcohol) but they are made from chemicals and are not pure vanilla. More information on Mexican vanilla here, or buy pure Mexican vanilla right here on our site. The best vanilla extracts are made from premium grade vanilla beans that have a high natural vanillin content. This means big flavor. 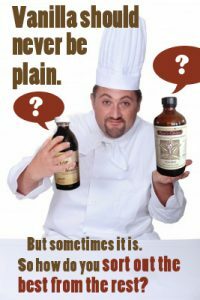 Extracts made with more vanilla beans than required by law like our own Rain’s Choice vanilla extract, offer more depth of flavor in the foods you cook and bake. Extracts that contain only a small percent of sugar and no corn syrup or caramel color are cleaner tasting. While vanilla is mildly sweet and doesn’t need sugar to boost its flavor, if sugar cane alcohol is used for extraction, it has a harsh nose. A small percentage of sugar will soften the harsh nose and give the extract a more delicate aroma. If the extract is made with corn or grain alcohol, it isn’t necessary to add sugar. Extracts that have had time to age or mellow will be smoothest. Are some brands of vanilla extracts better than others? There are several high quality vanilla extracts in the marketplace, and of those we can’t say one brand is superior to all others because it’s really a matter of taste, not unlike picking out a good wine. We work hard to make our own Rain’s Choice vanilla extracts the very best that money can buy, but everyone is unique. The trick is to find the one that you like best! The best vanilla extract – and the foods you use them in – will be anything but plain! It is worth the investment! Experiment by trying a few of the quality brands. Smell the extracts as if you are smelling a fine wine. Then taste it. If it’s mildly sweet, that’s fine; if it’s very sweet, it contains corn syrup or has a high sugar content. Bake with it or add it to a custard, flan or ice cream. How does it taste in your favorite desserts? What about in beverages? Experiment until you find what tastes best to your palate and in the foods you are making. The best vanilla extracts use higher-cost premium quality beans with a high vanillin content and minimal additives. They should lift and brighten the foods you cook or bake., and add sparkle to beverages. And more importantly, while the best quality extracts may cost a little more, the improved flavor will be well worth it! What about Rain’s Choice vanilla extracts? How do we differ? Are our vanilla extracts better? Here at the Vanilla Company, our mission is to provide our customers with premium-quality vanilla extracts and excellent customer service. Our vanilla extracts contain vanilla beans with a high vanillin content. They are made with 20% more vanilla beans than required by law. This gives our extracts an excellent depth of flavor that is so strikingly noticeable that it is not uncommon for us to get reviews like the one below. We use sugar cane alcohol, vanilla bean extractives and distilled water. Period! All of our vanilla products are gluten-free. Are you ready for a taste sensation? Then we invite you to try Rain’s Choice vanilla extracts. Hi Patricia! My wife Pat & I got hooked on Azteca Vanilla while vacationing in Mexico, it tasted better than the supermarket extracts at the time. How does Azteca rate in your book? Your vanilla sounds amazing and I love your concept and holistic approach to the product. Thanks for anything you can share on this! Peace. Unfortunately, Azteca vanilla is imitation. We have no idea what is actually in the bottle. And while it may smell good and even possibly be tasty, it isn’t pure vanilla extract. Please read:http://www.vanilla.com/vanilla-from-mexico-central-american-and-the-caribbean/ for more information. Our vanilla is pure, clean vanilla extract. It contains alcohol by law and will smell differently from the imitation. It’s necessary to smell it in the same way you would smell perfume to get the true aroma of the vanilla. The imitation vanilla available in the supermarket may or may not taste like Azteca. However, if you are committed to supporting farmers, using pure vanilla is the only way to help. Kent, if you go onto the homepage of my site and scroll down, you’ll find a link that leads you to lots of articles about vanilla. Be sure to read the one about Mexican Vanilla. Usually the better quality vanillas are at specialty food stores. I sell excellent vanilla extracts that are made with 20% more vanilla beans that required by law. The vanilla is extremely good with rich deep notes. Everyone who understands quality extracts loves our products. A friend brought me some white vanilla extract from the Domican Republic, Punta Cana Runners Adventures gift shop. As it is not labeld pure extract or imitation (and no ingredients label) I have to assume it is imitation as I have never seen white vanilla extract and can’t even imagine it exists because to make pure vanilla extract you have to seep the vanilla bean which lends and amber color to a true Vanilla extract. Am I right on target or is this something need more educating on? Please, any feedback is most welcome! Can you recommend one of your vanilla extracts for me? I didn’t expect so many choices. When reading the ingredients, do I want alcohol to be 35% or a higher amount? Is a higher percentage better? Diane, 35% alcohol is the Standard of Identity for vanilla extracts in the US. No need for more alcohol. Many of the extracts on the market have sugar or corn syrup in them. It’s used to cut the harsh nose of the alcohol. Unfortunately, the majority of companies don’t add that to their ingredients lists nor do they mention if they use caramel color (another sugar). Our extracts contain no alcohol but do contain 20% more vanilla bean extractives than required by the Standard of Identity. That is a plus for the consumer as it assures a deeper, richer flavor to the extract. Vanilla Extracts contain 35% alcohol by law as per the Standard of Identity. Vanilla FLAVOR does not contain alcohol, which is what she was asking about. Vanilla flavor is made with propylene glycol. Hi Patricia – I was going to buy the organic vanilla, but what caught my eye is that on all the other vanilla’s it says water/alcohol 35% and it has no mention of percentage on the organic label. Why? I liked that your vanilla’s actually told me the %, except on the one i want to buy. Other brands don’t mention it and that causes me pause. Kim, we’re not selling certified organic vanilla extract on our site at the moment, so I’m a little confused about whether you are looking at Rain’s Choice Vanilla or another brand. All vanilla extracts sold in the US are supposed to list the ingredients. To be pure vanilla extract it must contain 35% alcohol and 13.38% vanilla bean extractives (minimum). We have 20% more vanilla bean extractives than required by law in our vanilla extracts. Sugar, Caramel coloring (more sugar) and any other additives are supposed to be on the label but most companies don’t include that information. We use no additional ingredients than the distilled water, alcohol and vanilla bean extractives in our products. On your site under “shop” under Vanilla Beans you have: You can buy wholesale vanilla beans in bulk here or in smaller quantities from our retail partners. When you click on the retail partners, they have a choice to buy called: Rain’s Choice Vanilla Extract for $20.00 for 4oz. Is this from you? A little confused since you state you aren’t selling but through the retail link you provide they are. Makes me leary to buy from them please advise. What is the best way to store pure vainilla. It is from a company called Reyna bought in Cancun, label talks about its bean process. I believe it is real. Can it be frozen. What is the best way to store it and what should the shelf life be. Colleen, pure vanilla extract should never be frozen as that will damage the flavor. It should be stored in a cool, dark place, such as a cupboard away from a heat source. Unfortunately, Reyna brand is imitation vanilla. It doesn’t matter what the label says. Mexico’s vanilla bean crop is very small these days and almost all the vanilla beans are exported to the US or Europe where the beans are sold whole to users or manufacturers to make pure extract. The bigger issue is that you don’t know if there are dyes in the extract that could be toxic. I cannot advise you about Reyna other than I personally would not use it. Hi Amy. Watkins is not known for fabulous vanilla extracts. First, it contains some pure vanilla extract and some imitation vanilla. It doesn’t give us an indication of percentages. Second glucose is the second ingredient on their labels. Although they don’t indicate how much sugar is in the extract, being the second ingredient indicates that it has a fair amount of sugar. At least they list it. Many companies use sugar or corn syrup in their extracts but don’t list it. Finally, by having a hefty amount of sugar, the manufacturer can use poor-quality beans in the extraction process as the sugar will make it taste better. Now, compared with imitation vanilla, it has some redeeming qualities as it does contain pure vanilla. As of this writing in 2017, there is a severe shortage of vanilla beans in the market and what is available is largely poor quality, so this is a difficult time to do comparisons. The extract that we sell has 20% more vanilla bean extractives in it than required by law. We also have no sugar in our extracts. The lack of sugar is off-putting for some people as it has a stronger smell of alcohol and doesn’t taste sweet. However, when used in baking, the flavor of the vanilla carries better. Having worked with vanilla since the 1980s, my experience is that people are most comfortable with the vanilla they are familiar with. If it’s imitation, that’s what they like best. If it’s high quality, that’s what they will choose. Personally, I prefer the best quality extracts because I believe that to produce excellent prepared food, whether it’s sweet or savory, baked, cooked or raw, it’s important to use the cleanest, freshest ingredients. While vanilla is very expensive right now, we only use a little, and it improves with aging so it won’t go bad if you keep it in a cool, dark place such as a cupboard away from the stove. Thank you for your kind words and appreciation of our vanilla Kathleen! The crisis has made it especially challenging to find good beans. I agree with you, the beans in the stores dry up very quickly from the bright light and low humidity. It’s always a surprise when people see how beans should look! Gail, thank you for your thoughtful comments about our site. That makes me very happy. Unfortunately, we are almost entirely an online business and don’t have any of our products in Georgia. The quality of our products is very high and purchases from us helps to make it possible for the work I do representing smallholder vanilla growers worldwide. I think you would be very pleased with our extracts. Although the beans used in our extracts are grown organically, they are not certified organic. 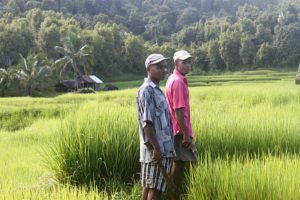 Most farmers cannot afford certification unless they are part of a cooperative with outside support. Watching the “best thing I ever ate” on tv today. Lady held up bottle of Xel-ha vanilla and said this was her liquid gold. Opinion? Is Usumacinta mexican pure vanilla imitation? i love the smell and taste it says pure vanilla but is it real? It may smell wonderful and the label may say it’s the real deal, but it’s imitation vanilla. 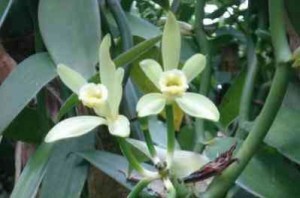 Mexico is producing very little vanilla now and it also has a history of over 100 years of producing imitation vanilla extracts. The problem is we don’t know what the actual ingredients are, including whether there are dyes banned in the US.